Information Cosmopolitics explores interaction between nationalist and information sharing practices in academic communities with a view to understanding the potential impacts of these interactions. This book is also a resounding critique of existing theories and methods as well as the launching point for the proposition of an alternate approach. Dominant approaches in the Information Behaviour (IB) field are investigated, as well as questions existing theoretical approaches to nationalism and cosmopolitanism. 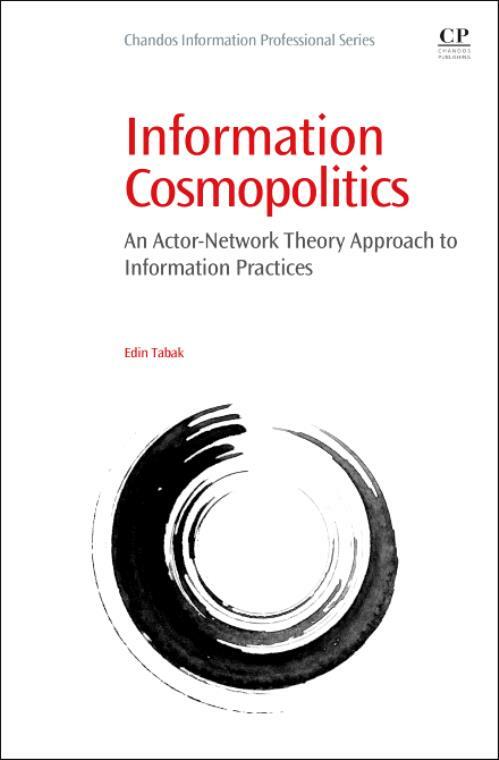 The concept of information cosmopolitics is introduced as an approach for tracing information practices and enabling research participants to perform their own narratives and positionings, and that the focus of information studies should be on tracing the continuous circulation of processes of individualisation and collectivization. Edin Tabak is an EU Marie Curie Fellow at University of Zenica, Bosnia and Herzegovina. Before this, he was a postdoctoral fellow in the Department of Internet Studies at Curtin University in Perth, Australia, where he has completed his PhD in 2012. His research interests include actor-network theory, information practices, and digital humanities. He taught social networks in the School of Media, Culture and Creative Arts at Curtin University, and has published a textbook Information Behaviour at the University of Zenica, where he has founded courses on Information Behaviour and Digital Humanities.